Registration of ownership rights on a land plot depends on, on what basis and in what year you received it or bought it. Direct registration is made on the basis of the submitted documents and statements in the Federal office of the state registration center. 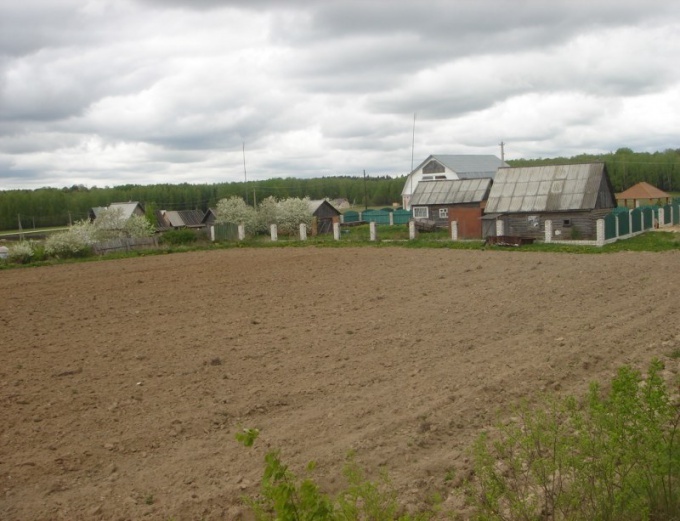 If you purchased or received land up to 1990, you can use the 37 the Federal law "On simplified registration of land plots and buildings in the property of citizens of the Russian Federation". To do this, call the engineer of PWSCC (formerly "Rosnedvizhimost"). You will survey and other technical work on the basis of which you will be able to extract from the cadastral passport and a copy of the cadastral plan. If you plot to lease, contact the local municipality and receive a decision on free or paid transfer of land ownership. To register for free leased only once in my life, so if you have ever been issued ownership rights on rented land, you will be able to transfer the land only for the cadastral value. If you have a piece from the organization, contact the Board of the horticultural Association or local authority and will receive an extract from the household book that use this plot. If you have a piece of the inheritance, gave it to you or you bought the land from individuals, then you have legal documents that you will submit to regcenter together with the statement and extract from the cadastral passport, copy of the cadastral plan. If you purchased or received land after 1990, the documents are almost exactly the same. The only difference is that you can not obtain ownership rights, obtaining the extract from the household book, as after 1990 for all plots already issued legal documents. Before the design of the site see Land and the Civil code governing the registration of property rights, as well as with the Federal law 122 on the basis of which registration of real estate.